With the majority of a full kitchen remodel budget being devoted to new kitchen cabinets, it is evident that cabinets play an important role in any kitchen remodel. Not only that, cabinets can use up a major amount of kitchen wall and floor real estate. Choosing custom kitchen cabinets or semi-custom over stock cabinets only increases the cost. Because this is such a competitive market with a potential for great reward, kitchen cabinet makers and retailers often flourish for a moment, then disappear just as quickly. 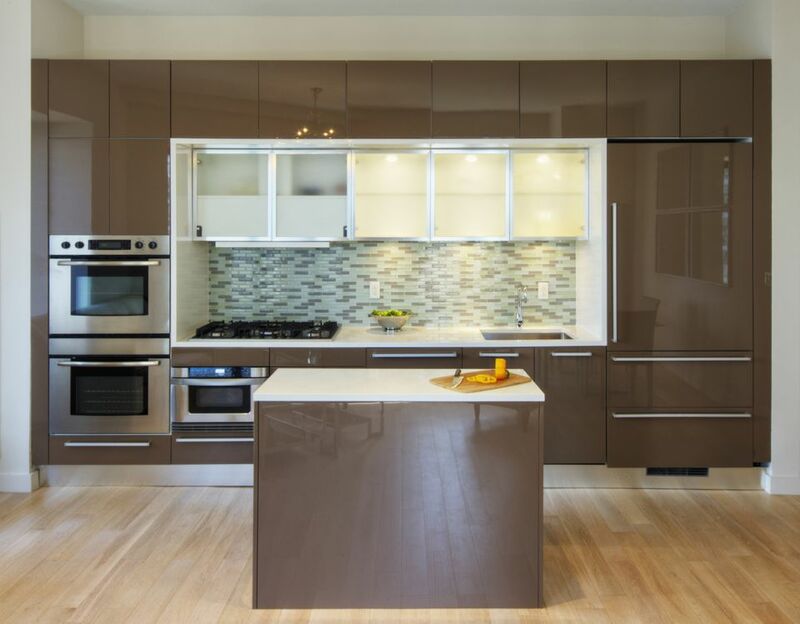 This list is comprised of kitchen cabinet manufacturers and suppliers that have solidly been in the business for at least a decade and are well-regarded both for the quality of their products and for long-term customer satisfaction. Kraftmaid is one of the biggest names in kitchen cabinets, owing to its association with Home Depot and other home centers. Kraftmaid's semi-custom kitchen cabinets can be found at local kitchen design companies, too. Initially offering only a few types of cabinets, Kraftmaid has enriched its product lines to appeal to all tastes. Building supplies conglomerate Masco owns Kraftmaid. Masco also owns Quality Cabinets and Merillat, as well as the non-cabinet-related Arrow, Behr, Duraflex, Milgard, and Cambrian companies. Like Kraftmaid, Merillat is another mainline kitchen cabinet manufacturer available through many retail channels, such as local kitchen design companies and home centers. A Michigan-based company, Merillat rarely makes dramatic changes in its product lines, preferring to stick to tried-and-true styles that appeal to a broad base. Named after founder and CEO Dario Snaidero, kitchen cabinet company Snaidero USA is known for its high-end, Euro-styled cabinetry. Products from Snaidero USA's Elegante Bespoke Collection can be found in premium residences and commercial properties that seek super-high-end kitchen cabinetry. IKEA holds the rare distinction of being one of few brick-and-mortar stores that offer ready-to-assemble (RTA) kitchen cabinets in stock, on the shelf, and ready for immediate pick-up immediately. If you have an IKEA in your metro area, you can start setting up your flat-pack cabinets within a few hours, instead of waiting days or weeks for freight delivery. IKEA's styles rarely change. But you can always be assured of inexpensive kitchen cabinets that come paired with a multitude of other items like countertops, sinks, faucets, fixtures, and even appliances. All Wood Cabinetry is both the name of the company and an apt description of its main product line. Florida-based All Wood Cabinetry makes plywood-core cabinets for kitchens and bathrooms, most in traditional styles. All Wood Cabinetry's offerings tend to remain middle-of-the-road and on the safe side. This company stands out as the long-time, trusted supplier of cabinets for Costco Wholesale. As a Costco member, savings are to be had when you purchase All Wood Cabinetry products through the Costco site or store. Since 1973, Porcelanosa has excelled at manufacturing sleek, smooth, and inventive European-style cabinetry. Based in Villarreal, Spain, Porcelanosa's kitchen cabinets are represented by more than 400 official showrooms, associates, and dealers around the world. With solid surface countertops, tile, sealants, flooring systems, and more, Porcelanosa has become a hugely diversified company with a range of products that complement their lines of kitchen cabinets. As one of the more uniquely named kitchen cabinet companies, CliqStudios has managed to extend its idiosyncratic nature throughout its business model. About ten years ago, founder Andy Juang decided that the kitchen design system was broken. After speaking to contractors, kitchen designers, and dealers, Juang decided to found CliqStudios after he learned it was difficult to know what he would get for his money, as Juang puts it. As a result, CliqStudios is all about transparency. At every step of the way, shoppers choose features of their cabinets and keep track of pricing along the way. After 20,000 projects, CliqStudios has become a force to be reckoned with in the field of low-cost do-it-yourself kitchen design and cabinets. One way to pare down the high cost of cabinets is to purchase ready-to-assemble (RTA) kitchen cabinets. Shipped flat-packed, RTA cabinets assemble easily with cam-lock and bracket systems. RTA is a category of kitchen cabinets that barely existed before the Internet; now, RTA companies litter search results. So, which to choose? After a decade, CEO Gary Nealon's RTA Cabinet Store is now one of the old-timers. And for good reason: They continually hit high marks for customer satisfaction. Also, unlike some RTA cabinet companies that are little more than online intermediaries between suppliers and buyers, RTA Cabinet Store is a full-service cabinet company that stocks all of its cabinets in its Pennsylvania warehouse. Based in Monroe, Washington, Canyon Creek Cabinet Company's mission is to reconcile affordable with custom. Operating since 1981, Canyon Creek creates affordable custom framed and frameless style cabinetry for the kitchen and any room in the house. With a name like Astrokraft, this cabinet company might sound prototypically mid-century modern, and it is. Since 1954, this Jasper, Indiana company has been quietly and faithfully supplying American kitchens with cabinets. Astrokraft is not about pushing stylistic boundaries. Rather, this company supplies solid and basic kitchen cabinets in well-loved door and drawer styles, with both natural wood and laminate finishes.